Tony, my son, Will, and I gathered up whatever scattered, leftover pieces of deer we could find along the route to the site where parts of the kill had been covered by whatever killed it. As we approached the pile, it looked quite depleted. Tony laughed and teased me about the pile…there was really nothing there, and he hadn’t seen the original pile site. Even though the wildlife had a week to eat from it, I expected to find some bones, hooves, or something. Thankfully, Will, was there to back me up…Tony was having a good time laughing that he had just dug a hole with the backhoe and there was nothing to bury except the head that Penni and carried up the hill, the spine that we found along the way, and some tufts of fur mixed in with the leaves. To “save face,” I insisted that the leaves and fur were to be buried, as well. I knew that the saga of this little deer was not over. Experience had already taught me that as time went on, we would be seeing deer parts showing up with one very happy Great Dane named, Penni. There’s not much you can do about that. The next day, however, changed this scenario. 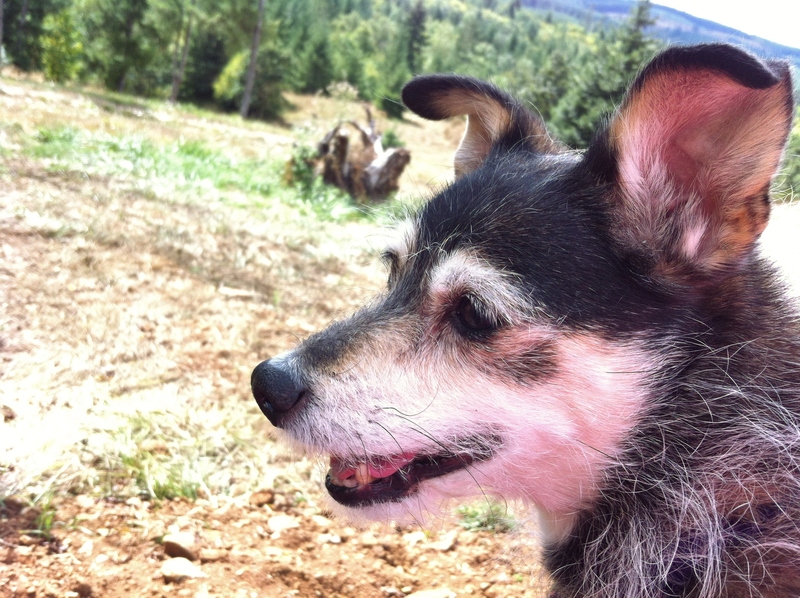 Penni had gone down the hill and was barking at something. One thing about Penni is that her bark means something, she is a quiet girl unless there is something to talk about…and there must have been something to really talk about. I jumped in the RTV and rushed down the hill…there she was, standing in front of something, jumping (she likes to pounce on things…it’s really cute) and barking. She backed-off as I approached. Lo and behold, it was the mysteriously, disappeared carcass. It was mostly just the hide…two legs (bones and hooves), however, were also attached! 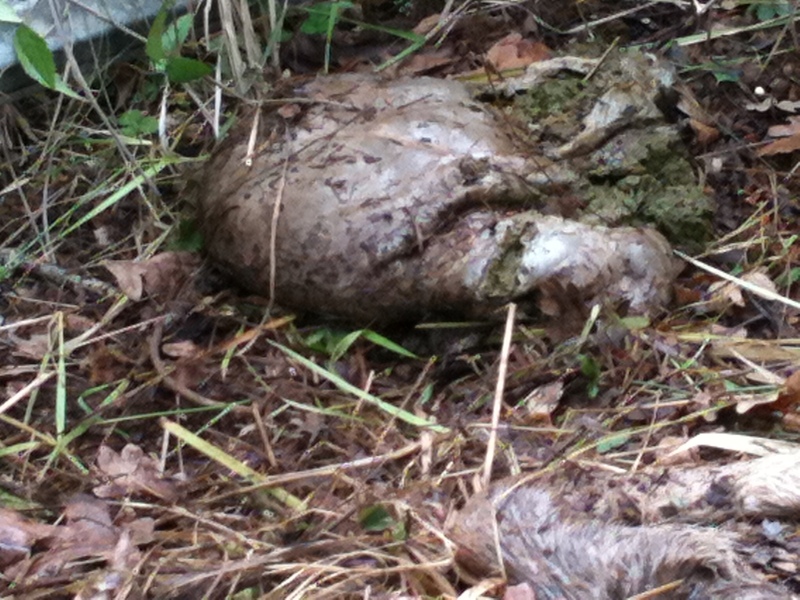 This was awesome because whatever was left, if found, would be small and not too gross…the big parts were all found. 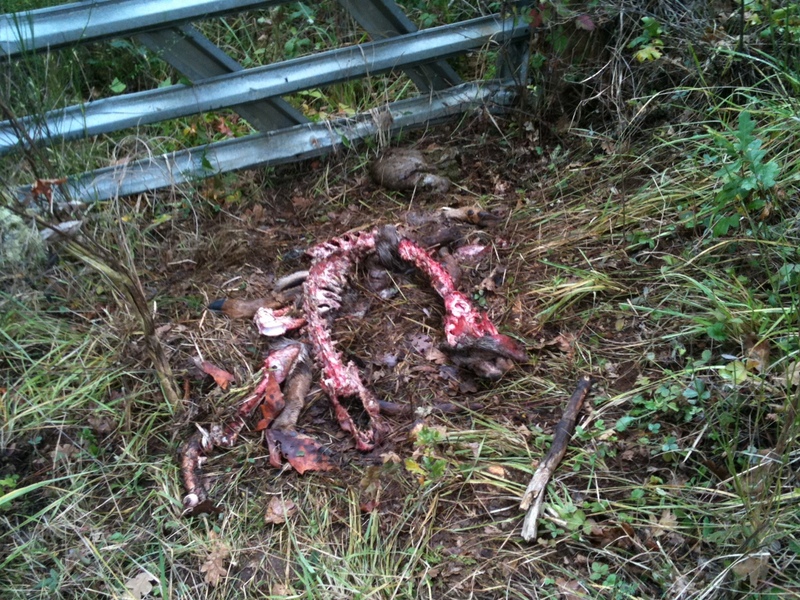 I guess we’ll never really know what killed that deer, but I think, like some had suggested,it was probably a cougar. 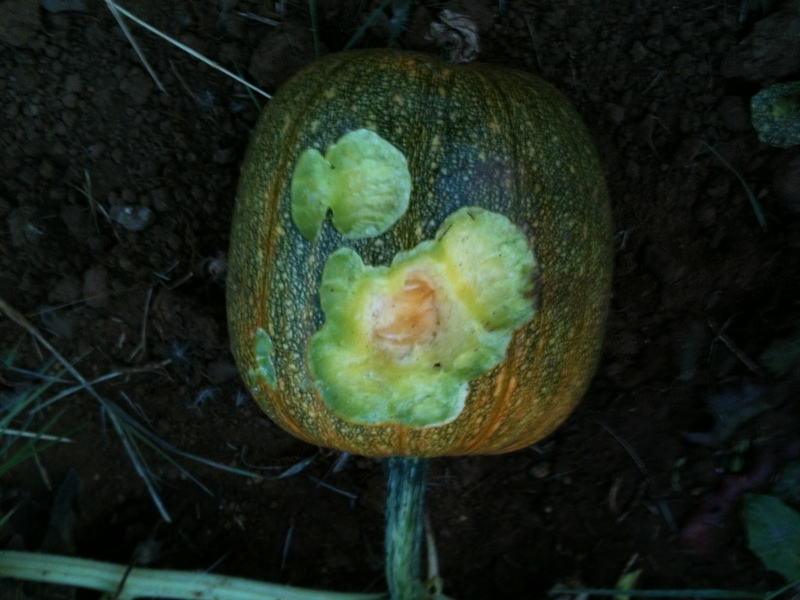 Everything that could be eaten was….nature can be really cool…and a bit frightening! FYI……THERE IS A GROSS-OUT FACTOR TO THIS POST…. 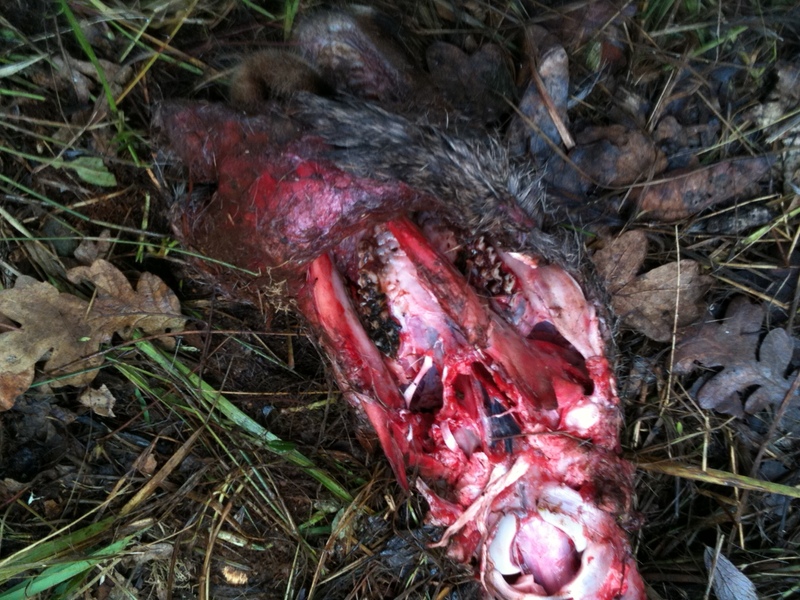 SOME PICTURES ARE NOT TOO PLEASANT AS THEY DEPICT A DEER THAT HAS MET HIS DEMISE BY ANOTHER ANIMAL, OR HUMAN. THE JURY IS STILL OUT ON THIS, BUT I WOULD REALLY LOVE YOUR INPUT IF YOU CAN TELL BY WHAT I DESCRIBE, WHAT MIGHT HAVE KILLED THIS LITTLE DEER. THANK YOU!! 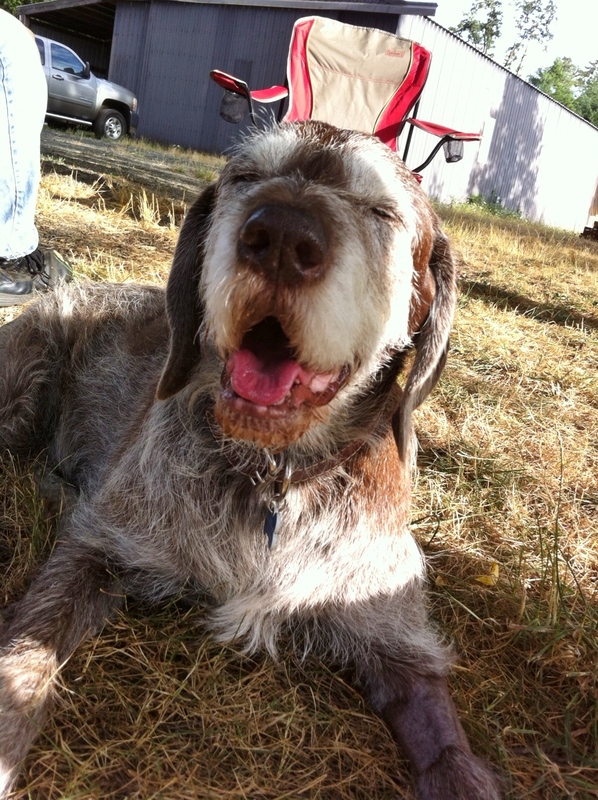 Karli – Our fourteen year old sweetie. So, to get back to our walk….everything was going fine. We found the one flaw in the fence line..good find…then making our way to the plateau before the downhill slope to the creek, the dogs stopped, (except for Karli, our 14 yr. old rat terrier/poodle mix who has lost most of her sensibility and is not as sharp as she used to be.) 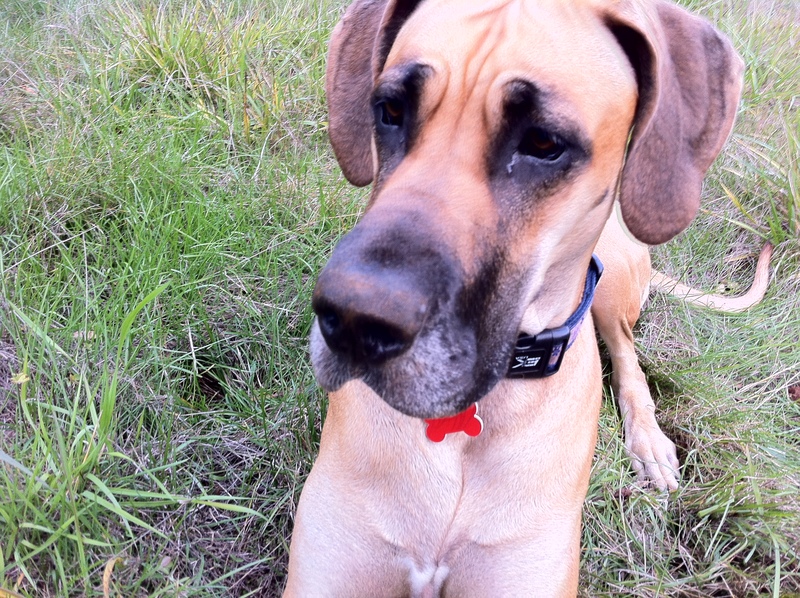 Penni, our Great Dane, started barking, lurching forward, but not moving forward. I immediately went on the alert, hoping this band of merry hikers had not cornered a skunk, or worse yet a cougar. As I cautiously approached, yelling for Karli to stop moving forward (Tucker our old German WireHair Pointer guy had already lay down in the grass as his rear legs don’t like to just stand still) I could see the object of their roadblock. It was a deer, a very well cleaned, fresh kill. By this I mean what was left on the bones (which wasn’t much) was still very pink and red….the bones, and joint areas were still very pearly in color. The stomach had been removed and pushed away from the body, and a large portion of the deer had been buried under leaves and dry grasses. Since we were walking, I quickly got the dogs under control and we left the area. No way did I want to be standing around a fresh kill with the possibility of a cougar or coyotes lurking in the area. Later in the afternoon, I went back down with the RTV (a quick get-away), a knife (for protection…this is where I know I need to take my gun handling to the next level…I didn’t feel comfortable handling the gun myself, since my husband was away), and my adult son, Will, came down with me to help….the dogs stayed home!! I wanted to check out this kill more closely. 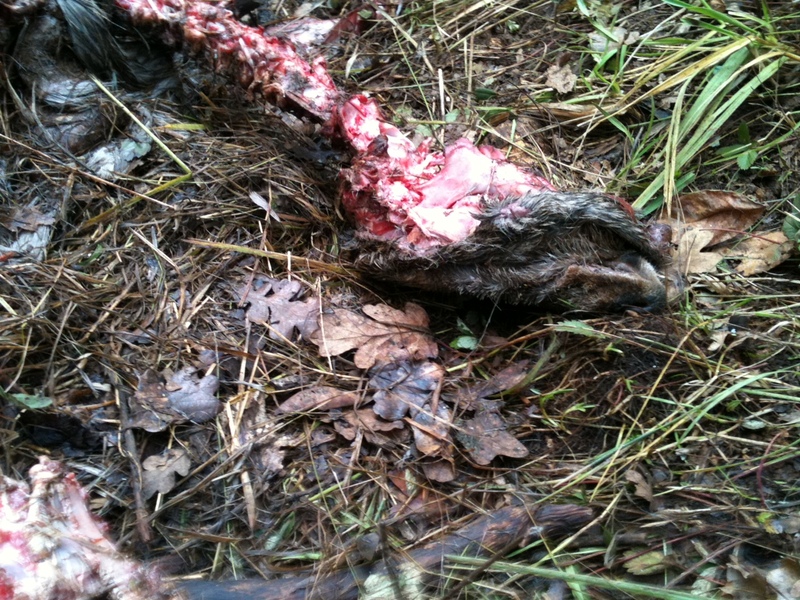 The deer’s stomach separated from the body. 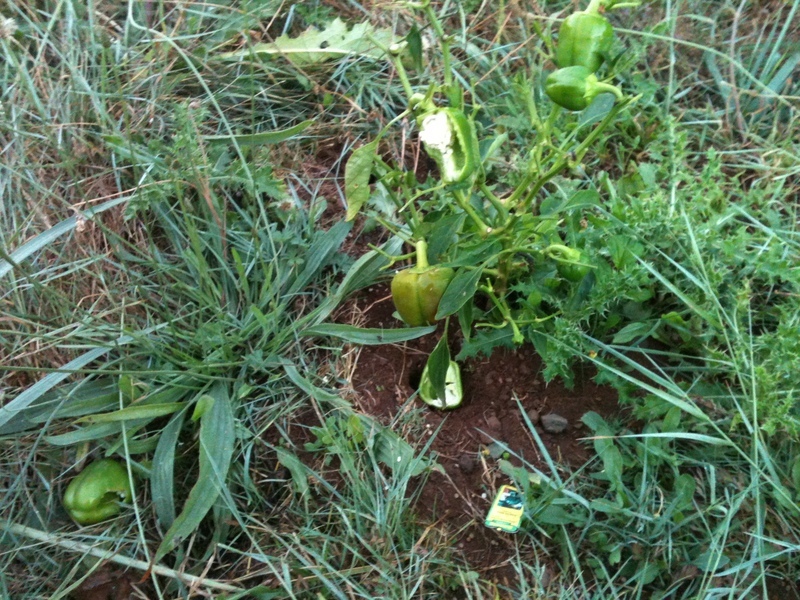 This is how we found it…partially buried. Close up of neck, head area. See how skin is peeled back. Another view of head / neck area. 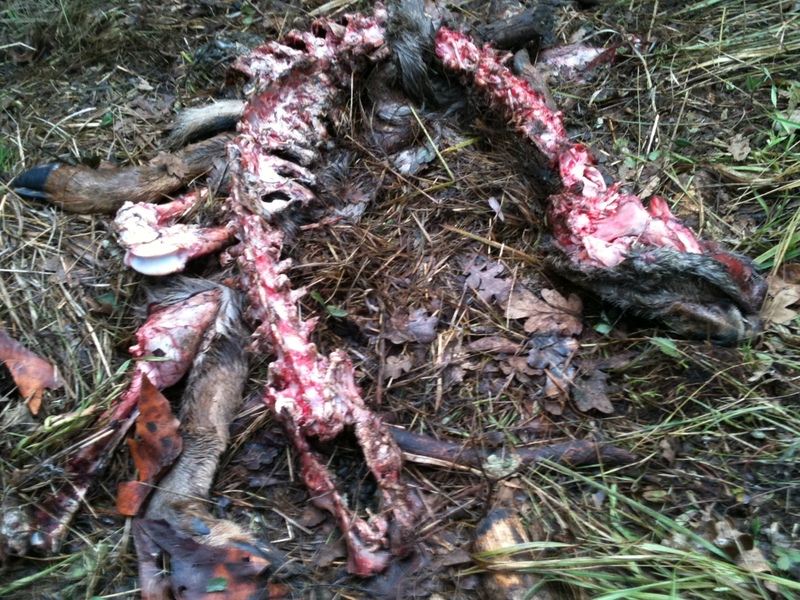 So my questions are these… would a human hunter butcher a deer at the kill site? It is hunting season…I don’t want to think that someone hunted that animal on our property…but, I did hear very loud gunfire the night before around 12 or 1 in the morning…two shots. It was not that alarming because once in awhile a farmer will shoot at night to scare a coyote or something away from their farm. It is possible that it was shot on one side of the fence line and then the second shot killed it on our side. It is the coward’s way to hunt if that is what took place…they would have probably used the “Deer in the headlights” scenario with a very bright light shined in the deer’s face so it becomes almost paralyzed for the moment, long enough to get the shot….cowardly, and illegal!! Does it sound more like a predatory kill…and if so…what type…cougar or coyote? BTW, the deer seemed on the smaller side. So today, we are going to dig a big hole and bury the remaining carcass. We have given the wildlife a week to get a good feed, now I need to get rid of it because Penni is more than enthralled with dragging leftovers up the hill and chomping on them….YUCK!!! She’s had her mouth washed out with soap a few times this week, as well as, the rest of her. I think her defining moment was bringing the skull up to the house and dropping it near the front door yesterday….ENOUGH IS ENOUGH…BLEH!!!! Here is a little clip from her deer adventures last year with a deer the sheriff shot on our property because it had been clipped by a car and was suffering in the cold….enjoy…she sure did!!! She eventually did drop it!!! Nature, domestic and wild, is really a great form of entertainment. During the last couple of weeks, we have witnessed a myriad of heartwarming animal antics that brought with them tears, laughter, and contemplation. For true effect, I’m writing about them in time order…. The five “Fine Wines” were moved to the chicken house (actually this was more like 4 weeks ago) and merged with the four “Shakespearean Untouchables” with great excitement!! They loved their new house! Benedict, our young-but-oldest rooster, set down the law very quickly. He chased the smaller hens around a lot, and was especially attentive to, Merlot, our younger rooster. There was some mild pecking going on from the older group, but no blood was ever drawn, nor feathers plucked. The most heartwarming thing that occurred every night through their transition was that no matter the disdain from the older brood toward the younger, at night when seeking safety inside the house, everyone was accepted to roost. There was some cackling going on as they all found their spot, but the chasing and pecking was at a minimum. The inherent understanding of the dangers that could befall each other if left outside was incredible to witness. I am continually amazed and entertained by my feathered friends. Two young red-tailed hawks have left their nest and are looking for a feeding ground. 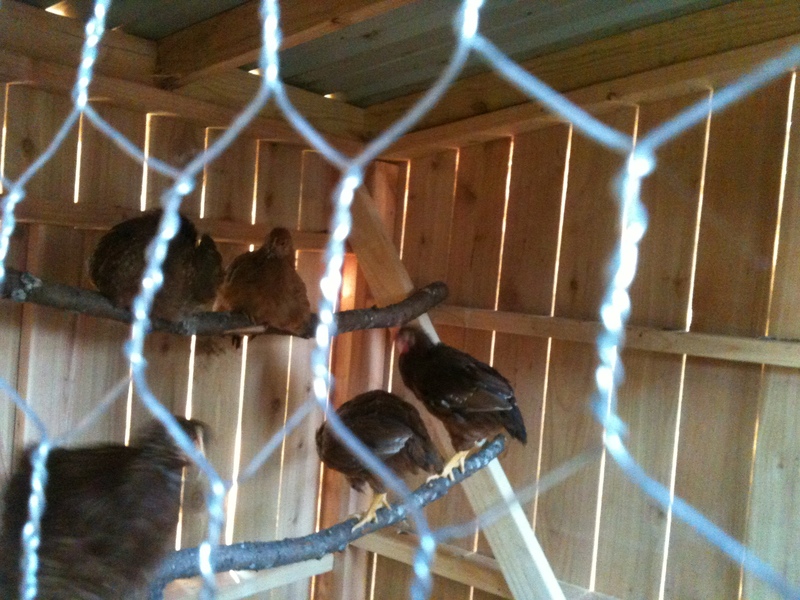 The chickens have learned to listen to the birds in the trees, and run inside when they strike the alarm. Benedict’s eyes have learned to watch the skies for dangers and darkness. He leads the brood in and out of their house as safety permits, and has determined the level of darkness that he will allow them to stay outside…after that, he rounds up any hens that are outside, into the house…it is so cool to watch. Here is the call that brings the brood indoors…. Our Great Dane, Penni loves, loves, LOVES our neighbor’s dog, Daisy. Daisy is a true farm dog, of the Great Pyrenees variety, that protects their livestock. Daisy and Penni have a through-the-fence friendship. They actively run back and forth, stick their heads through the fence squares to say, “Hi,” and just lay down and spend time with each other. One day, Penni seemed confused by Daisy. Daisy was just laying there, Penni was trying to engage her, but it was a no-go. Penni looked back at me several times, so I thought I should check things out. As I approached Daisy, I saw something very strange…then it dawned on me…Daisy had a snout and mouth full of porcupine quills. PORCUPINE QUILLS??!!! I didn’t even know we had porcupines in our neck of the woods, but it makes perfect sense…we’re in the woods!! Long story short, Daisy’s human took her to the vet…wherein she was not only de-quilled…she gave birth to 6 puppies!! 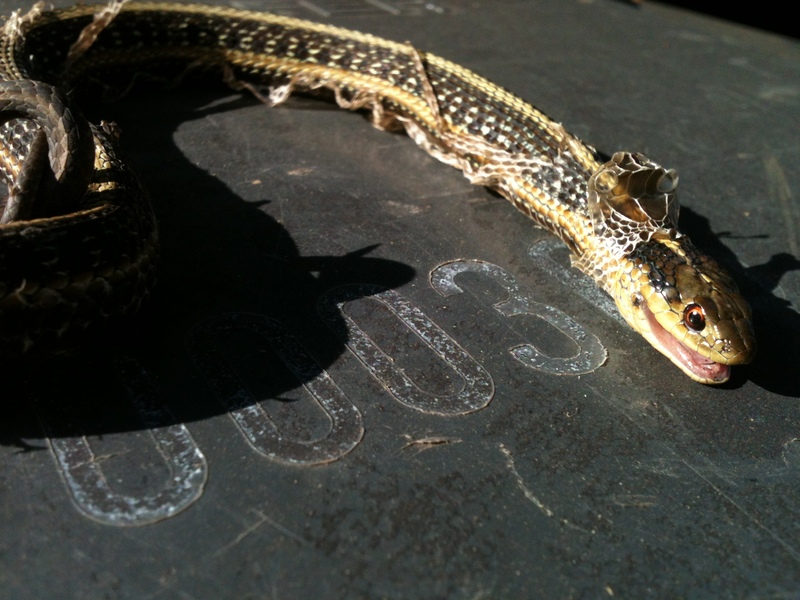 This unfortunate guy made his way into the chicken’s yard area…. I didn’t see it, but he didn’t last very long. I found the brood close to it…the snake was already dead. 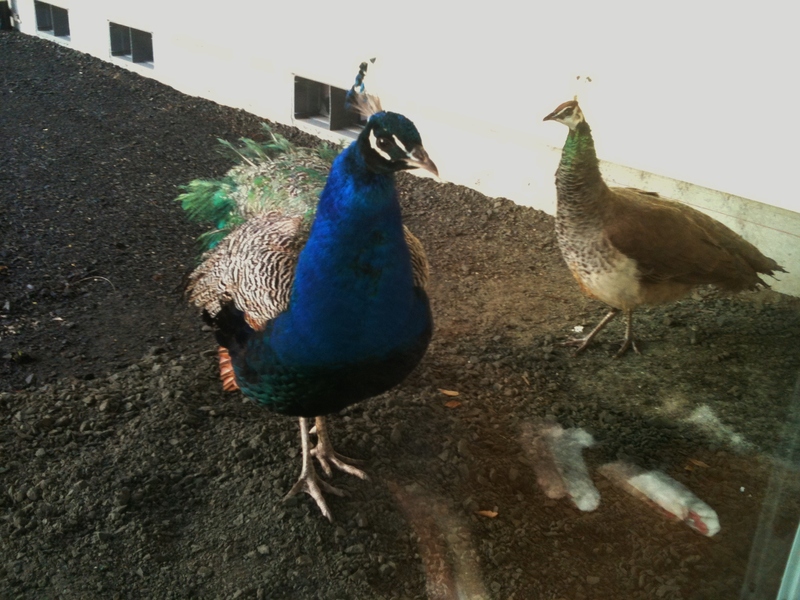 It seems that it is that time of year again….the Peacocks have arrived!! This picture was taken last spring…they made a visit to the chicken yard this past week. 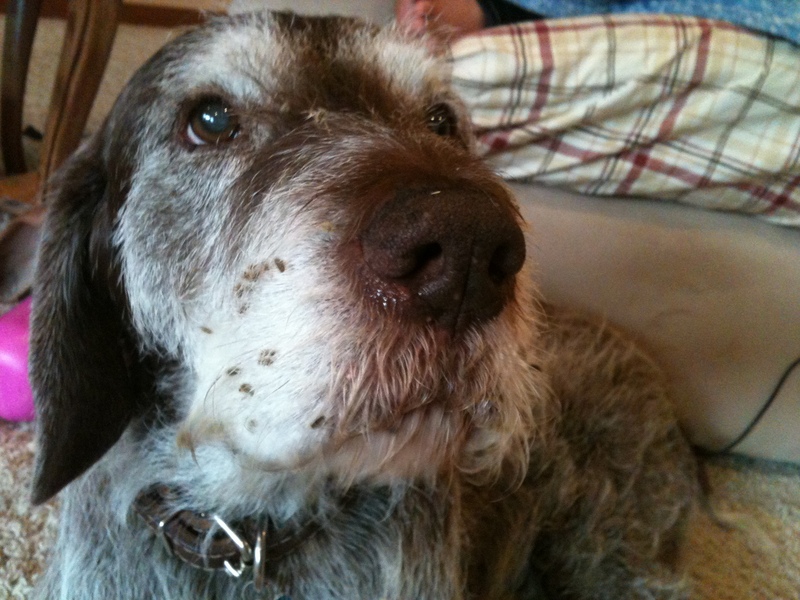 Our poor Tucker doggy and those darn burrs. the family of quail living under a wild blackberry bush have been exercising their bevy of tiny wonders, deer mommies are cautiously bringing out their spotted fawns from under cover, and the neighbor’s goats have been kidding and telling the world about it. The highlight of all these animal antics, however, has to be the running of 1500 ducks down the main creek winding through town…..Enjoy!! 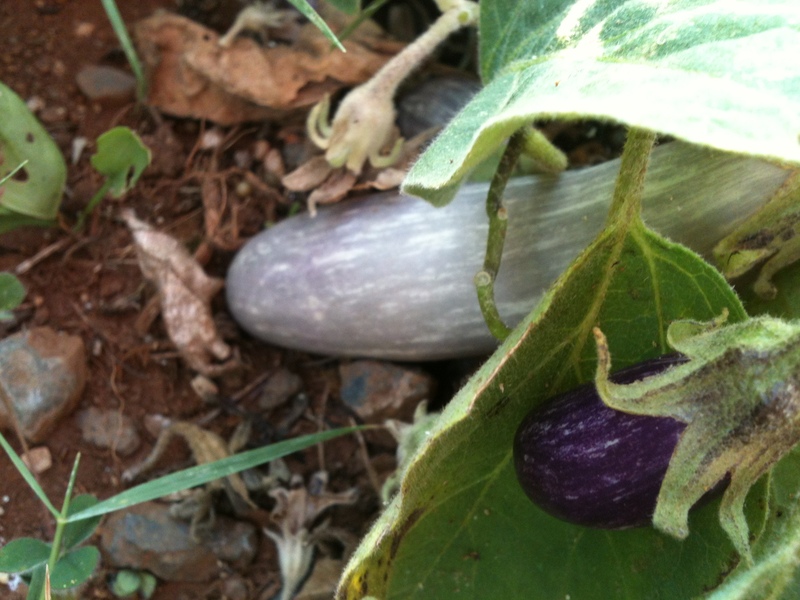 I’m always amazed when I plant a vegetable garden, and it actually starts to grow. 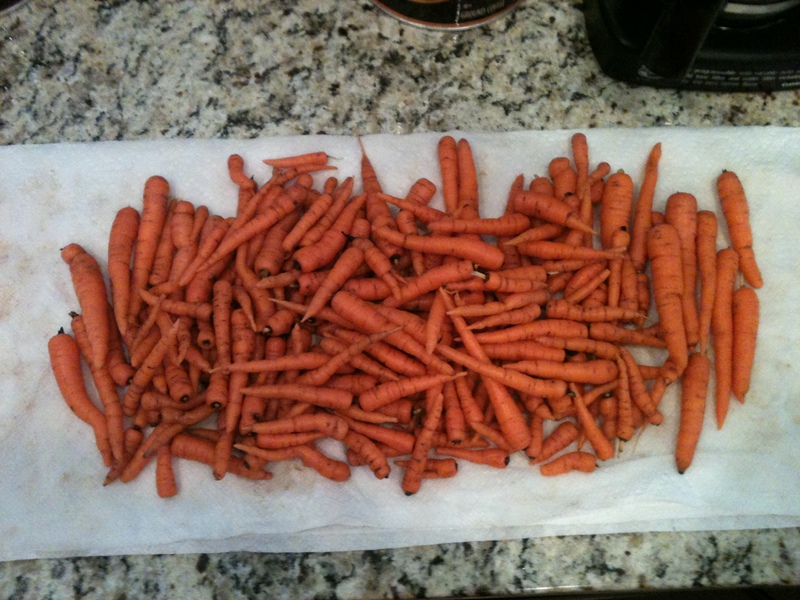 I’m even more amazed when I’m grabbing a basket and plucking the beautiful gifts that garden gives. Can you imagine the preprogramming that is in each and every tiny, tiny seed?? Not only is the Big Guy the Master Gardner, He is the original computer geek…LOL! I started this post with the mindset that I could get everything caught up about the garden into this one writing. Uuhhmmmm….that is not working too well, so I’m breaking it up. Why I’m saying that and just not doing it…I have no idea!! I have found that there is a certain timing to planting a vegetable garden up here in Oregon. This has been a learning curve for me. In the San Francisco Bay Area of California, you’re pretty safe getting things into the ground really anytime from late February to mid March. Oregon plays by a different set of rules, I mean, it can be April, and a light frost comes on for a couple of nights damaging your young, delicate crops. Timing is everything. 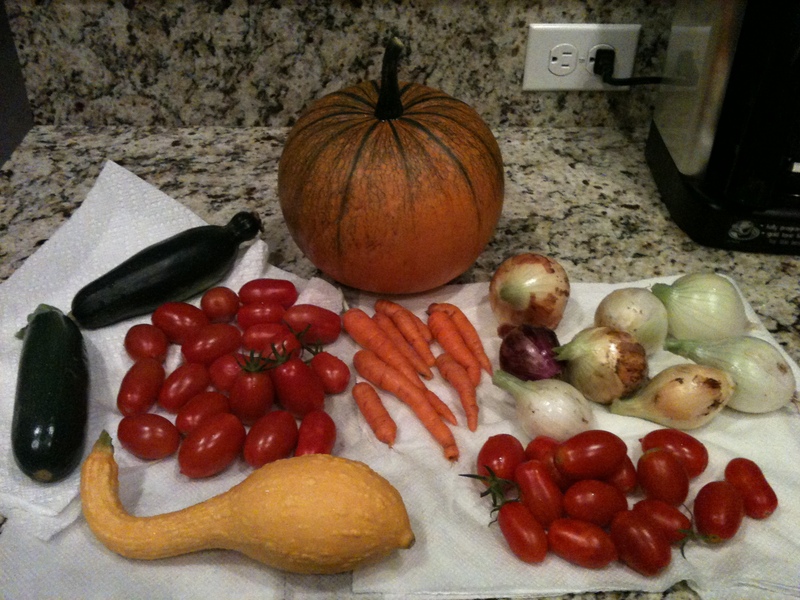 Last year was our first attempt at growing veggies within these conditions….let’s just say I lost most of my garden due to frost, and had to replant. Those things that did fight their way back…like a really brave eggplant, never really produced much….except the potatoes, they did really well. 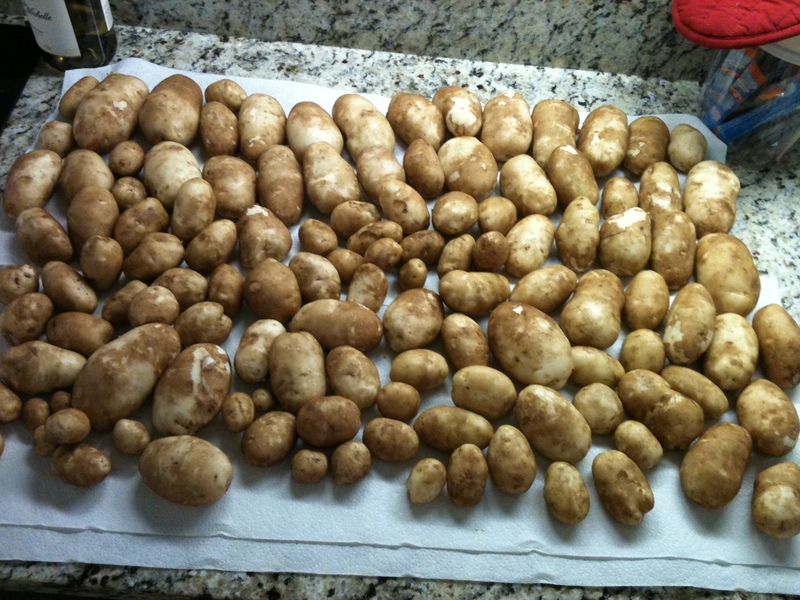 Our 2012 potato harvest…not bad for hard, rocky soil!! 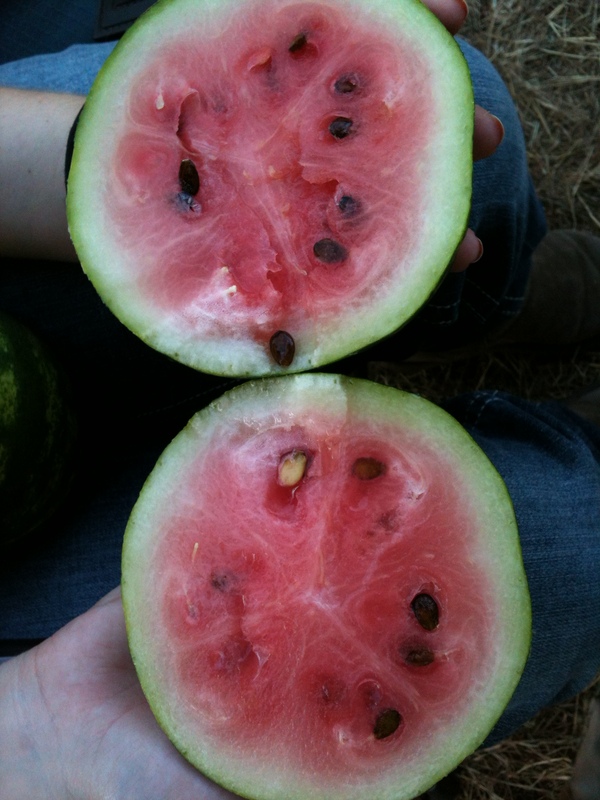 Although the 2012 watermelon had reached the full size they were going to grow to…they hadn’t ripened when we had to pick them to save what we could from the deer. I think the short growing season has created, in me, a better appreciation and thankfulness for the produce that we receive from these plants. 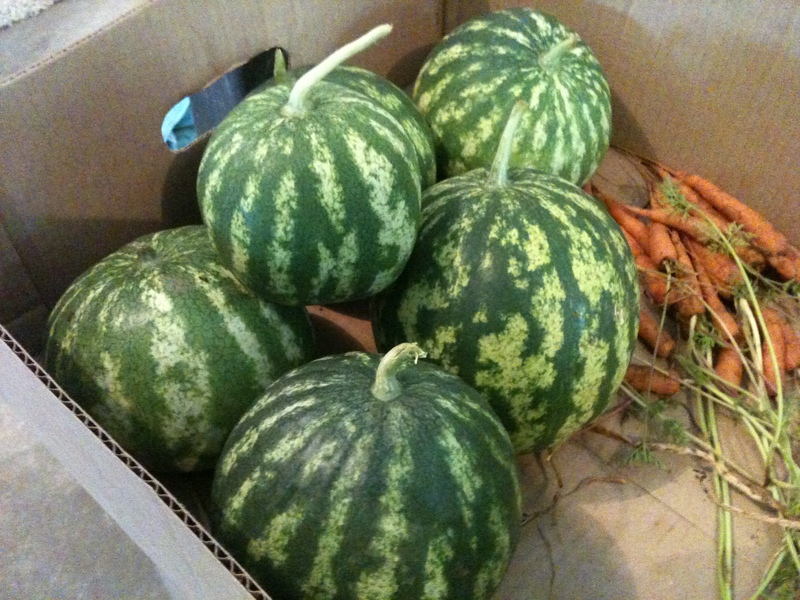 Truly, different from gardens past, wherein, the growing season and production times were much longer, I didn’t waste or let lay to waste any of it. I really saw for the first time, the value of what God had provided us from the tiny seeds we planted in the months prior to harvesting. It’s now mid July, 2013, and I’m just starting to see gems of goodness hanging from the vines and limbs (I can’t see what’s under, but I’m imagining with great hope)…looking forward to the coming weeks where I’ve gotten those precious “stones” out of the garden and onto our dinner plates. Now if I can just keep the deer from eating it first….. This year’s garden, 2013, almost didn’t happen. The ground was not tilled, the protective fencing not up, and all of a sudden…winter turned to spring in late April, and we were unprepared. The, Have a Dane Hill Garden 2013, did get in the ground….that story is next…..